The Gaslight Inn, a Gettysburg bed and breakfast, provides uncommon attention to details - arranging a private tour guide, helping you select a restaurant for dinner, making certain your wine is chilled, or making arrangements for a carriage ride through the Battlefield. An in-town oasis, The Gaslight Inn is conveniently located just one block from Lincoln Square, the center of Gettysburg, PA and one block from East Confederate Avenue, the Culps Hill area of the Battlefield. The Battle of Gettysburg was the turning point of the American Civil War. For three hot days in July 1863, our small Pennsylvania town was the scene of hard-fought battles, esteemed bravery and the bloodshed of 51,000 men. With a much needed Union victory, many historians agree that it was on these hallowed grounds that our nation was saved, and deem the Battle of Gettysburg as the defining moment that changed the direction of the war and the morale of the nation. After nearly 150 years what happened in Gettysburg is not forgotten. We invite you to visit and walk in the footsteps of history. The day starts at the National Cemetery for a walk with a Licensed Battlefield Guide. He shares the story of how the cemetery came to be and the visit paid by President Lincoln on November 19, 1863 when he delivered one of the most famous speeches in American history. The afternoon activities are followed by dinner at the Dobbin House. The cost is $55 per person. Tickets can be purchased directly at The Gaslight Inn. Guests staying 2 nights or more at The Gaslight Inn, will also receive a 10% discount off their room. Book online or call the Inn at (717) 337-9100 for more information. It’s time for the annual Gettysburg Bluegrass Festival. Our internationally acclaimed festival hosts bands and fans from around the world! Be a part of Granite Hill’s Bluegrass Festival history and call for tickets today. You will enjoy 4 days of live music on two stages and informative workshops. Before breakfast, Gettysburg Licensed Battlefield Guide, Gar Phillips, will conduct a discussion about and demonstration of firearms used during the Civil War period of our history. Before breakfast, Gettysburg Licensed Battlefield Guide, Stuart Dempsey, will conduct a question & answer session for our guests, as well as speaking on various topics of Civil War history. 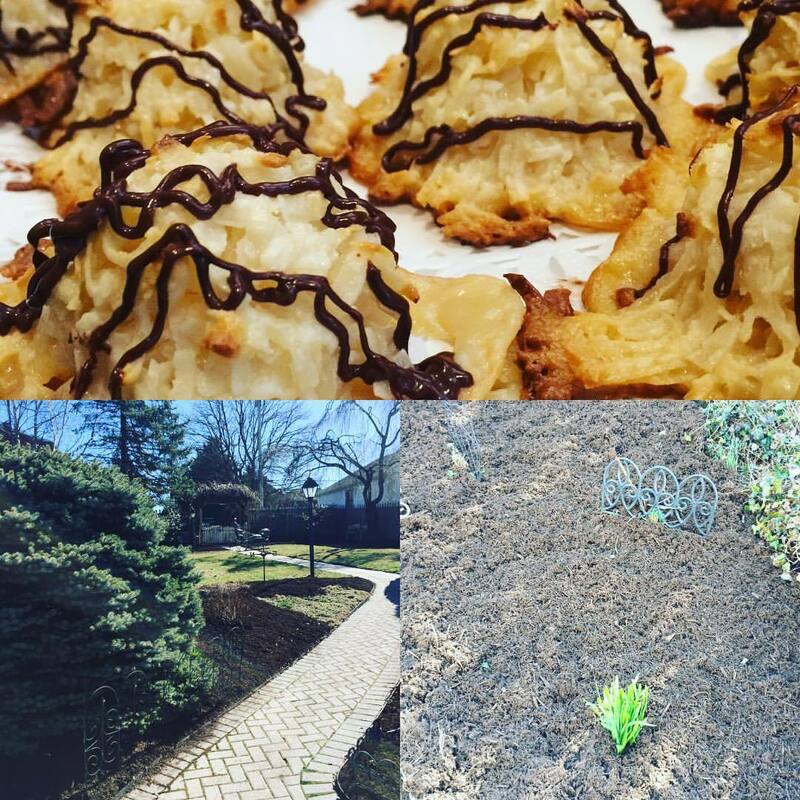 Finding signs of spring in #gettysburg with freshly mulched beds, sunny days and a field of coconut macaroons. When are you coming to visit us at #thegaslightinn ?